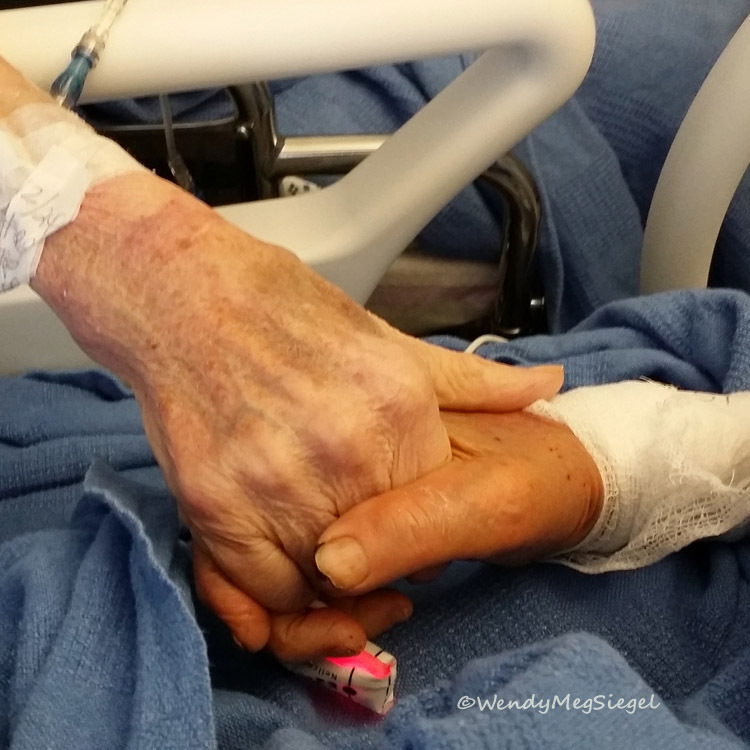 My parents holding hands during one of my mom’s visits to my dad’s hospital room. The wonderful hospital staff helped make sure they visited one another every day. Two months ago today, my dad died in a hospital room, at age 94. Exactly one week later my mom took her last breath in a similar room just a few rooms away. She would have celebrated her 90th birthday a few weeks later. 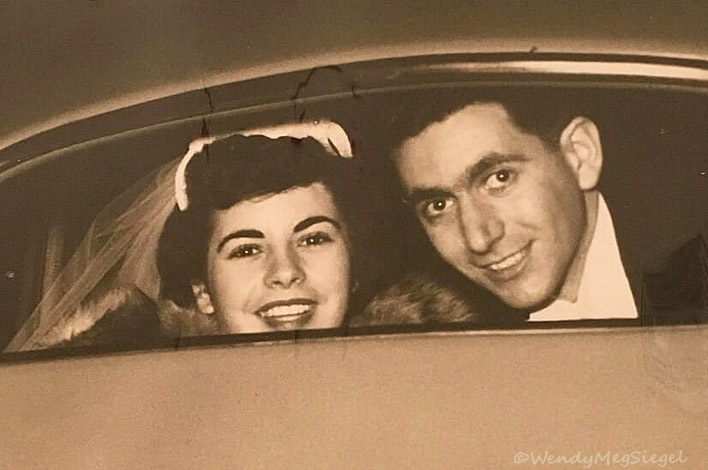 After 70 years of marriage, they were still choosing to do everything together. I’m finding that in order to move on and begin to share art related posts again on this blog, I have the need to first share this loss. The experience of watching both parents slip away was powerful and the loss is life altering. I can already see changes in the way I approach my paintings and my life. In recent weeks, I’ve needed time to hibernate and step back from “life as I knew it.” I’ve been taking one step at a time and easing myself back into the world. In writing this today, it is a step forward. I was so very fortunate to have both parents in my life for so many years. I so appreciate the abundance of love and support I always received from them. Their enthusiastic response, anytime we shared details of new ventures, accomplishments, possibilities, and experiences, was a continuous gift to the whole family. They made it easy and joyful to share anything and everything with them. And how they loved each other!! I believe they lived as long as they did because of their commitment to one another. And being in their presence, you just could not help but be drawn into the vortex of love and gratitude vibrantly operating between the two of them. It’s no wonder they seemed to have fans wherever they went… and of course, they always went together. For years, my brother and I hoped that our parents would somehow be able to leave this world at the same time or shortly after one another. We knew it would be too painful for either of them to be left behind without the other. They orchestrated their exit pretty well. They were miraculously admitted to the hospital on the very same day, for different reasons. During their final days, they were surrounded by loved ones and managed to visit one another each day. When they were able, they held hands, blew each other kisses, and continued to touch the lives of those around them. We witnessed and experienced a whole lot in those weeks, including many precious moments. I know I will miss them deeply, but I am so glad that neither of them has to continue life without the other. Their love story continues. What a gift it has been to have had so many years with my loving parents and to have been a witness to their love and commitment to one another!